Chevrolet will unveil its new small SUV - the Trax - at the Paris Motor Show next month. 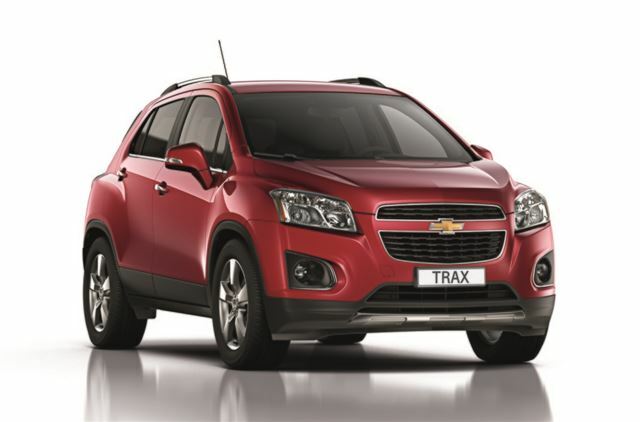 The Trax is the sister car to the Vauxhall Mokka and will go on sale in the UK in Spring 2013 with prices expected to start at around the £15,000 mark. At just under 4.3 metres long the new Trax is similar in size to the popular Skoda Yeti and like the Yeti it will come with both two and four-wheel drive. Engines include a 1.4-litre Turbo with 140PS plus a 1.7-litre diesel with 130PS and 300Nm of torque. Both come with a six-speed manual while there's a six-speed automatic available. There will also be a 1.6-litre engine but this will only be available as front-wheel drive.